Happy Kitchen Sink Stamps Monday! 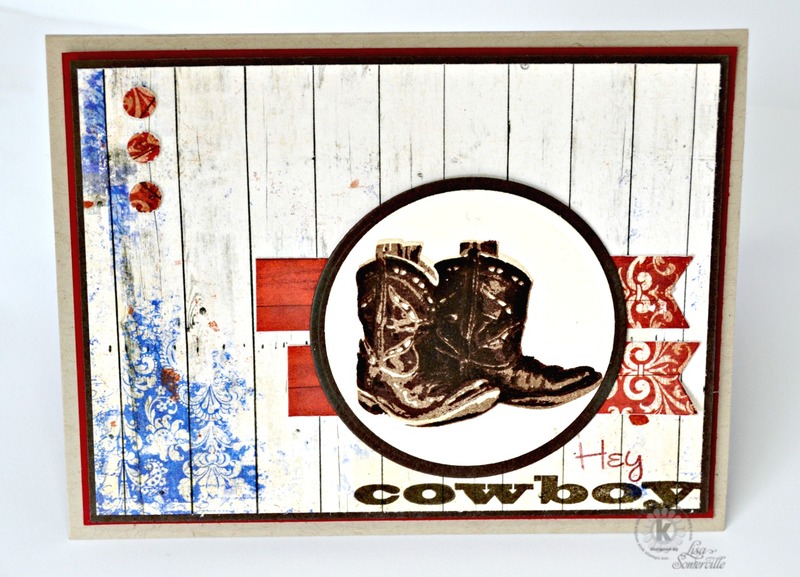 Inspired by the Mojo Monday Sketch Challenge, I created my card using the Multi Step Cowboy Boots and Multi Step Cowboy Hat along with pattern paper from Bo Bunny. So fabulous! Love the hint of Americana to it.